We are starting the third week in Blogging Marathon. I am going to be sharing one of my kids favourite ingredient cooked in different avatars, yet it blended so well that it goes to show that one can’t get just enough of this. Yes I am talking about Chocolate. Many months ago, when I was browsing something I saw that Sanjeev Kapoor had released his new book on Chocolate, and it supposedly had Indian twists to it. Well I was hooked to the thought and decided I would surely try my hand at making some Indian sweets with Chocolate twist. My first try was making the Chocolate Shrikhand. I simply loved it, of course Konda liked it though I know it would take a while for the boys to get used to Shrikhand. Having said this, this must be one of those themes that I planned on making soon and knew it would be easy to make these without fear. The chance came when we decided to visit my sil’s place. I always bake cookies for them and mostly on the previous night. We mostly leave early morning and imagine making this at midnight and hoping it would set. As it was just us at home, we had overflow of milk and somehow I realised that I should make use of the milk instead of baking new cookies. My adventure with 6 litres of milk on that day was amazing. 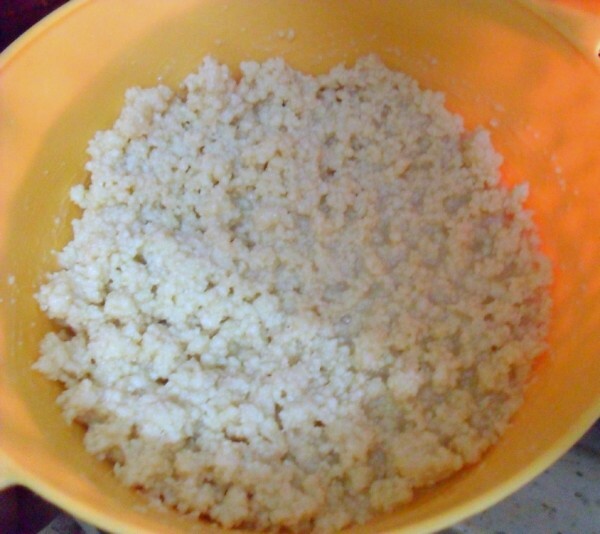 First I made paneer with 3 litres, set out to make the other dish, however made a mistake. So had to slash it into the fridge to be handled later as Kalakand. 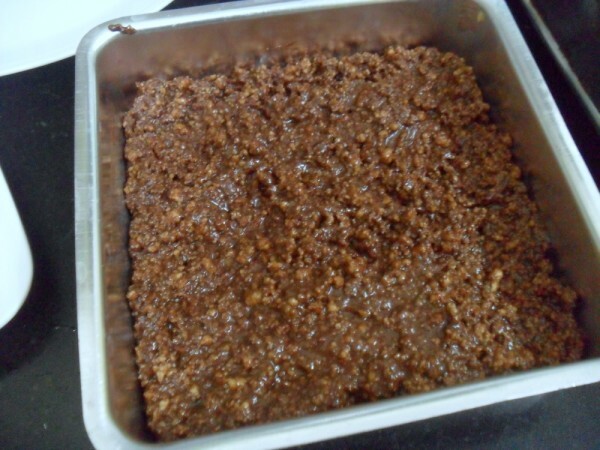 I had decided to make Chocolate Kalakand, for the simple reason that boys won’t touch if it was a white sweet. With the remaining 3 litres of milk, I asked Konda to help me with the dish. I will be sharing the details much later of course. Now proceeding with the story, the paneer that had sugar already mixed was quite hard, having been in the fridge for more than 6 hrs. 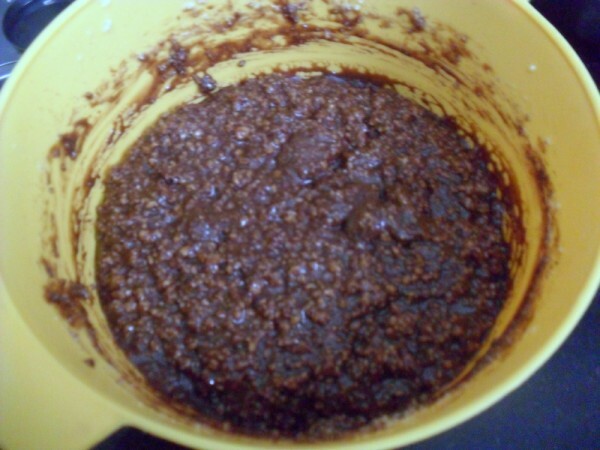 I proceeded to make Kalakand in microwave as there is nothing to beat this method. After ensuring this will set, I had set it on the table and went to sleep. Imagine my joy when these got cut as pieces so beautifully. So there was that last moment click for the final shot! To say that everybody loved the sweets I took, was an understatement. I have always been thankful for the appreciation and warmth my relatives show, when I bake cookies for them. However these sweets got me much more. Because Athamma was so proudly telling her relatives that I always bake biscuits for them, so I made these sweets instead for a change. With a crowd of 20+, including some 7 kids, it’s not a wonder that the sweets got over the same day. I was one happy person, to say the least! Now for the most delicious sweet that one can make. 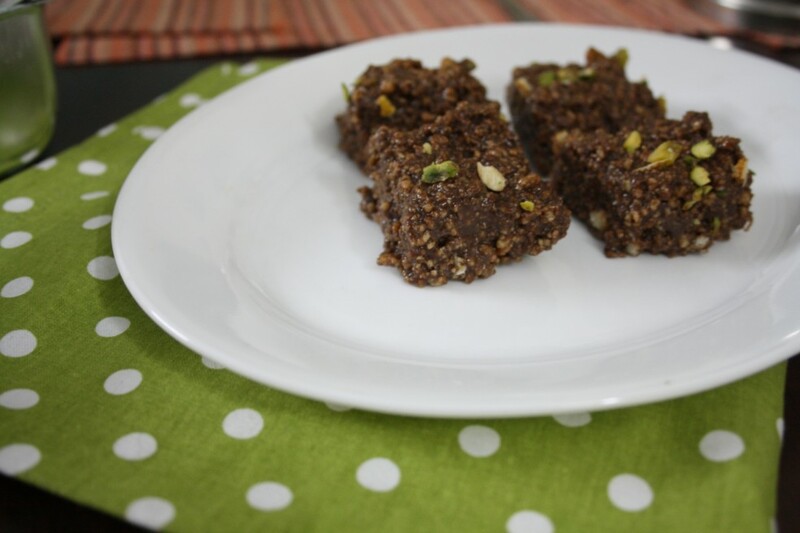 You can make it the same way as I originally made the Kalakand. The dish I share today is a modified one because of the mishap. I had cooked paneer and sugar together for a while. Then proceeded to make this sweet as the other dish didn’t turn out. Anyway I must say this surely unforgiving sweet. However since I had paneer that already had the sugar mixed in, I add milk powder, condensed milk, cocoa powder and made. 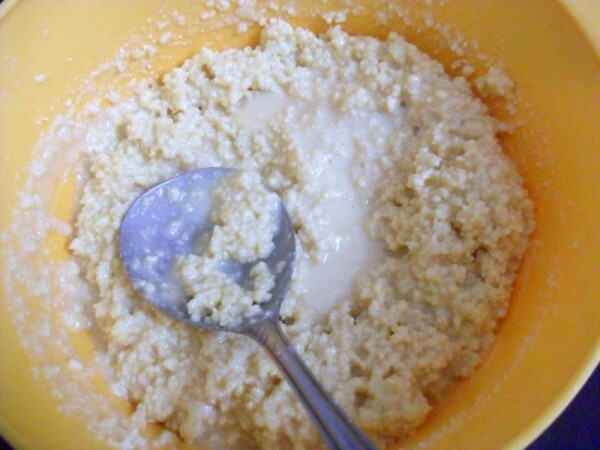 In a microwave safe bowl, take paneer, milk power, cardamom powder, mix. Finally add half tin of condensed milk. Micro for 4 mins and 30 secs. 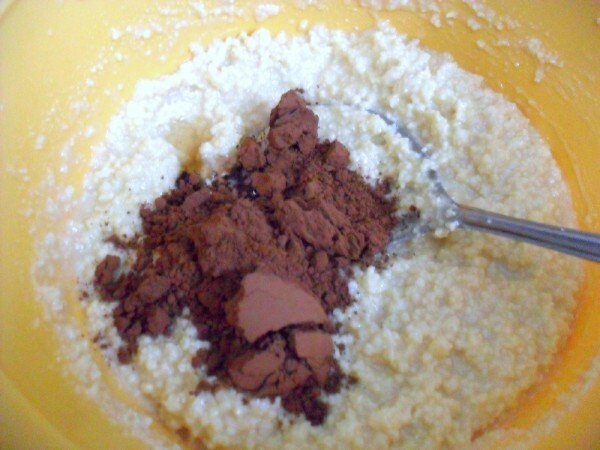 Remove and add the cocoa powder, 1 tbsp of ghee. Mix well and put it back. Micro for 1 min more. Remove and pour over a greased pan. Sprinkle finely slivered pistas. Let it cool down completely before cutting into small pieces. I have listed the steps as I normally make the kalakand in mw. However in this recipe, I had cooked paneer and sugar together for 5 – 7 mins. So the process was even more simplified and I adjusted the sweetness based on the sugar content as found. I set it overnight or rather 5 hrs or so. The best part was seeing Peddu and Chinnu enjoying this. They don’t eat Indian Sweets and since this was chocolate, they didn’t even say no. It was all thumbs up for the dish! 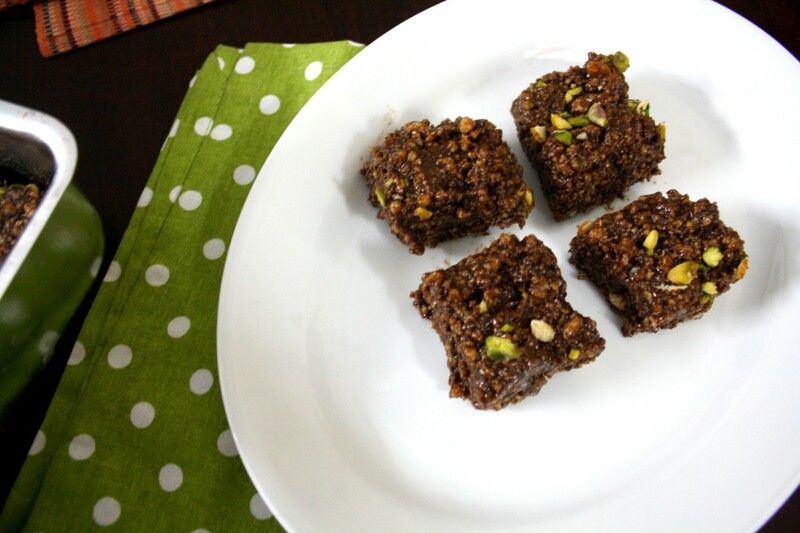 I am salivating with the mere mention of chocolate and with a I can imagine chocolate kalakand might have been heavenly. No wonder it disappeared in a matter of time. Awesome looking kalakand. 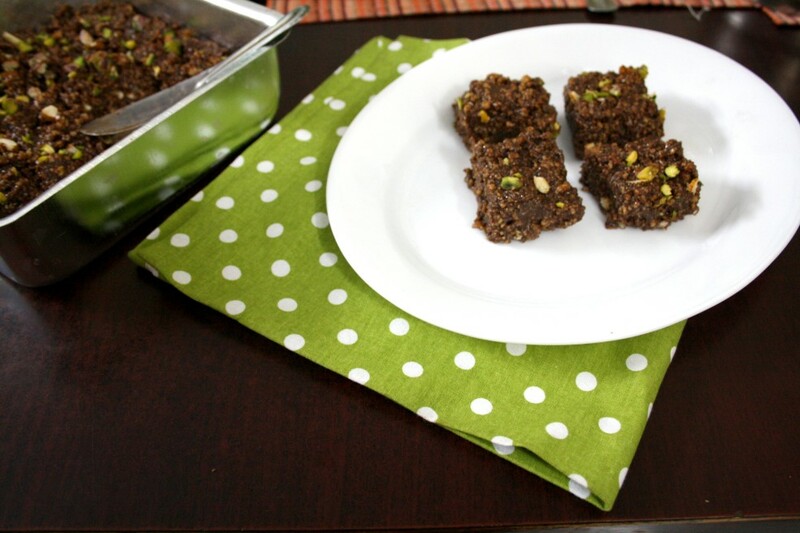 My husband loves chocolate kalakand and I've been planning to make it for a long time. Thanks for the recipe, will have to try this soon. Love this Kalakandh Valli. I dont rem when was the last time I had these. Now with the additon of chocolate is defenitely inviting me to try them. Well I miss taking part in the BM this time:( Hope to take part again soon. 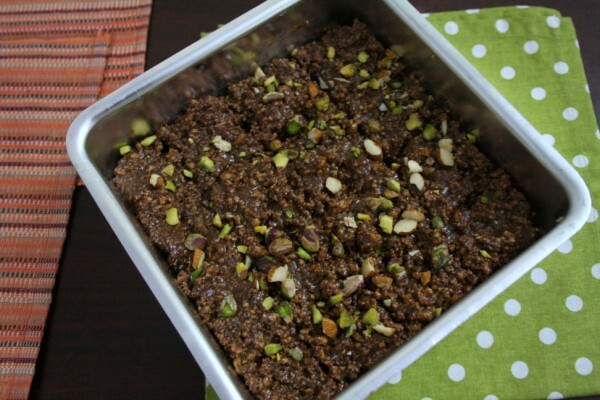 Chocolate kalakand ! Wow I loved chocolate in any form! 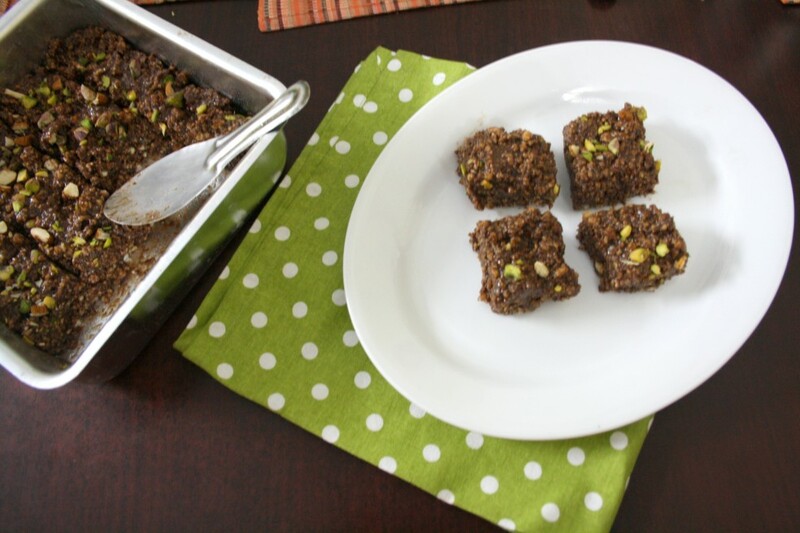 Such a wonderful twist to our traditional kalakand, loving it. everyone surely must have enjoyed the delicious looking kalakand…but I enjoyed reading this post.I was imagining the scene behind the story….oh ya the kalakand is mouth watering. I love the grainy texture that you got in the kalakand! I was too lazy to make the paneer and then make it from scratch, but seeing your recipe wants me to try it. Now I really wish I had taken this theme! Anyways, your posts are always a pleasure to read and enjoyed every bit of it. Must make this one too, I love this sweet and with chocolate who can say- no!! With so many yummy things going into this sweet, there is no way you can go wrong! An irresistible treat! Totally sinful! !! Kuttu will definitely enjoy this!!! !